Random Panel: Nerds Gone Wild II, Bibliophile Beach Edition! 7 Responses to Random Panel: Nerds Gone Wild II, Bibliophile Beach Edition! Jeff, when did you shave? lol I can’t pass it up. Now, you’ve got me wondering what the caption was all about! 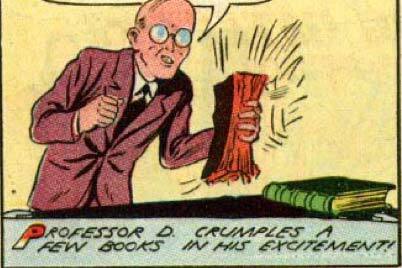 The key thing that tells us how much of a nerd this guy is is the fact that he has the manual strength necessary to crush such a large book in one hand. I love that he’s a nerd, yet he’s super strong. And yet he apparently tears up books for fun, which is decidedly non-nerdy. for which I did not pay. On this day. On this glorious day.